The Shruti Foundation will present a special concert March 25 featuring legendary percussionist and kanjira maestro Selva Ganesh with Rajib Karmakar on sitar and Shankh Lahiri (tabla) of the band ‘WAHH’. The first half will be a traditional Indian classical performance followed by WAHH. Attendees will experience both South and North Indian music followed by world fusion music. Maestro Ganesh gained world fame through tours with John McLaughlin and the Zakir Hussain group ‘Remember Shakti.’ He helps his father, Grammy-winner T.H. 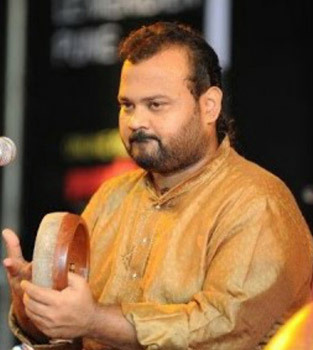 "Vikku" Vinayakram, run the Sri JGTV school and train a new generation of Carnatic percussionists. He has also composed and produced albums and played with the Swedish bass player Jonas Hellborg and American guitar virtuoso Shawn Lane. His debut international solo album, Soukha, was released in 2006. “Best of the Bay’ 2016 winner WAHH World Fusion Band, led by Shankh Lahiri, will be joined by Ganesh and Karmakar. Using the scintillating sounds of Indian tabla and vocal overtones, ‘Wahh’ fuses a modern approach weaved with sitar, Western drums, guitar and bass. Combining Indian raga music and Western harmonic melodies with an infectious rhythm section, ‘WAHH’ creates a strikingly impressive blend of musical styles, instruments and diversity and provides a captivating experience. Project Starfish, which provides medical care to the underserved in southern India, will hold “Still More Spices of Life” fundraiser from 6 to 10 p.m. on Saturday, March 24, at Chester H. Ferguson Law Center, 1016 N. Tampa St. Tickets for the fundraiser featuring food for four Indian regions, cash bar, Bollywood dancing, silent auction and more are $25 adults, $10 children. Project Starfish, which focuses on communities with high poverty rates and that lack sufficient medical infrastructure, is funded entirely by private donations. Founded in August 2014, it has provided medical services to hundreds of people in rural communities in southern India by merging Indian and American healthcare teams. In addition to general medical and pediatric care, it has a diabetes clinic that measures HbA1c (three months average of random blood sugars), includes a thorough physical exam, and teaches the principles of good nutrition and exercise, and includes three months’ worth of medication. The incidence of Type II diabetes in India is second only to China. 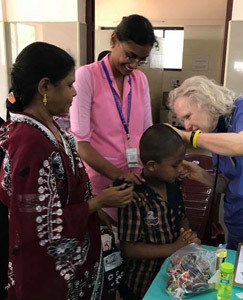 In 2017, volunteer physicians and medical staff from Project Starfish visited eight villages in rural India – making a total of 12 visits. The camps with diabetes clinics typically served between 150-250 patients per village visit. In November, it visited other villages in the mountains of Tamil Nadu. Project Starfish also visited a small school in Kodaikanal, and donated money to purchase two extra-large cisterns to collect the rainfall on which villagers are totally dependent for fresh water.